CIncinnati, OH, February 21, 2019 --(PR.com)-- DonorDrive®, the technology behind top peer-to-peer fundraising for nonprofits, is leading the discussion on the future of fundraising at the Peer-to-Peer Professional Forum Conference in New Orleans, February 27th - 28th. Allison Fine will lead a discussion at the DonorDrive pre-conference workshop on ways new technology can motivate, support, boost registration, and increase revenue. Live Fundraising experts from DonorDrive will be joining her, including Senior Implementations Manager, Meghan Nash, Product Manager, Kasey Cuppoletti, and Product Integration Developer, Ben Clayton. They’ll focus on leveraging chatbots, the use of streaming to maximize donations, and automation technology. To register for this session, please click here. At her keynote speech, Fine will address the hurdle of turning supporter transactions into lasting participant and donor relationships. She’ll explain how to minimize stressful “organizational churn” and build loyalty with supporters. DonorDrive’s booth is always popular at the conference. This year, attendees can visit the DonorDrive “Live Fundraising Lounge.” The Louisiana SPCA will bring in rescue puppies for a Live Fundraising event. The Peer-to-Peer Professional Forum supports professionals who manage peer-to-peer events that fundraise billion each year. The forum’s conference, workshops, webinars, and online services provide access to information on driving program success, powerful networking, and recognition for outstanding work. The 2019 conference will take place at the Hilton New Orleans Riverside, February 27th-28th, in New Orleans, LA. 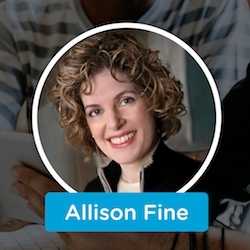 Allison Fine is among the pre-eminent guides to the social media revolution. The author of the award-winning “Momentum: Igniting Social Change in the Connected Age”, co-author of the bestselling “The Networked Nonprofit” and “Social Citizens Beta”, she is also co-editor of Rebooting America and writes about the intersection of social media and social change on her blog: A. Fine Blog.